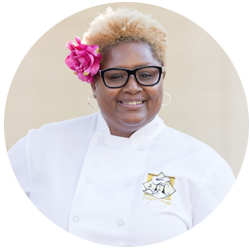 I proudly serve the Greater Atlanta area working 1-on-1 with families, busy professionals and organizations, who are looking for good food with a great dining experience. We understand that production crews are busy, work long hours and are looking for good flavorful food! As a Chef my passion is to inspire people to experience good food, with good people while having good conversation. Are you planning a wedding, company event, family gathering or celebration? If you live in the Greater Atlanta area, choosing at home personal chef services offers those managing a busy schedule to have meals prepared in the comfort of their home, or have them dropped off right to your door. Want to dine in your Atlanta home, vacation property, celebrate your business success, or enjoy a special occasion in style? Lets talk about planning your menu and dining experience for your next intimate event. Winner of TheKnot’s prestigious award,“The Best of Weddings” for 6 consecutive years straight since 2013, Chef Samone designs custom culinary experiences for those passionate about food, ingredients and presentation. When you subscribe to my email list you'll be the first to know about new products, new blogs and new recipes! 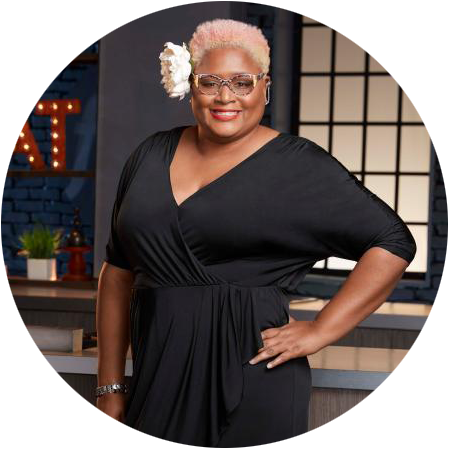 Chef Samone has been featured in People Magazine, Edible Orlando, The Orlando Sentinel, The Sanford Herald, TheKnot Magazine, The Food Network Magazine, and has competed on two Food Network shows: Cooks Vs. Cons Season 5 and Food Network Star Season 14.